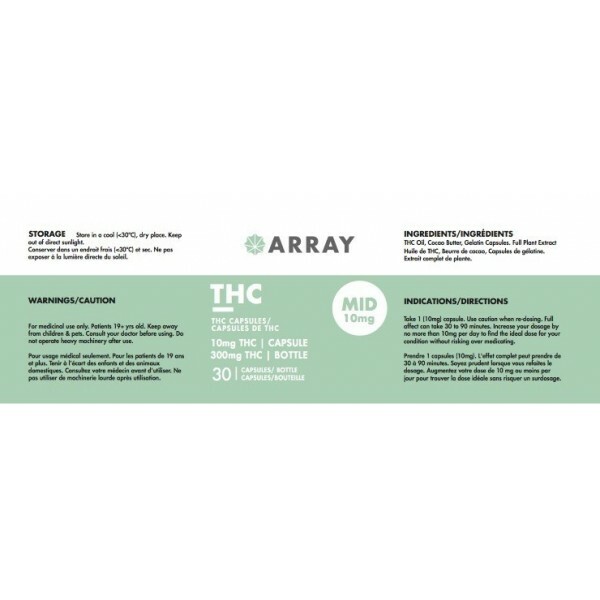 This product is tested in a Health Canada approved lab and contain all natural THC. These capsules are formulated with cocoa butter and come in a gelatin cap for easy ingestion. ** Please store in refrigerated for quality assurance. Array THC Capsules - 10mg THC (30 Count Bottle) This product is tested in a Health Canada approved lab and contain all natural THC. These capsules are formulated with cocoa butter and come in a gelatin cap for easy ingestion. 30 caps per bottle 10mg THC per cap (mid 10mg) 300mg THC per bottle The Phoenix Tears Oil in our Cannacaps is decarboxylated and has been Lab-tested. 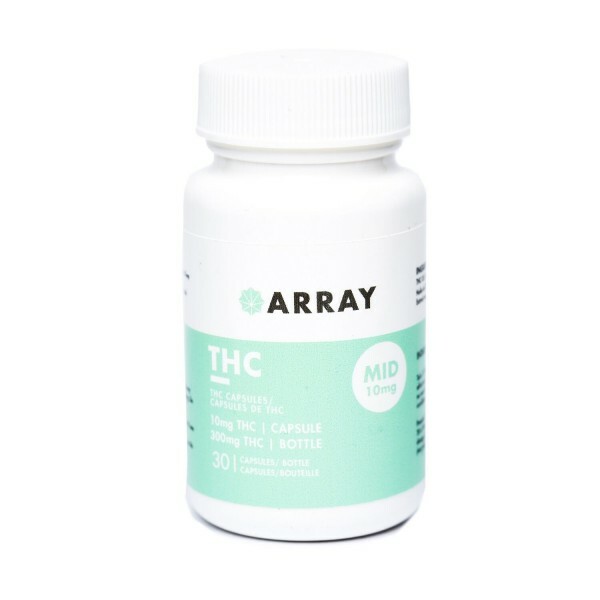 Canna Caps are a great way for patients to titrate their own dosages and are a preferred method for those who do not wish to smoke or inhale cannabis vapour. This product is Lab-tested in a Health Canada approved testing facility. * Colour of capsule may change periodically due to capsule colour availability. ** Please store in the refrigerator for quality assurance.